The B & B Le Porte di Napoli is located right in the historical center of the city, near Porta Capuana , the ancient gate created by the time of Ferrante I of Aragon (illegitimate son of Alfonso V), who occupied the area of ​​Sedil Capuano close to the castle. We are about 900 meters from the magical atmosphere of San Gregorio Armeno , famous for its touristic shops of shepherds and sacred crafts, which have made the Naples Nativity scenes famous all over the world. The B & B Le Porte di Napoli offers people who decide to stay in Naples, a completely renovated structure surrounded by the typical hospitality and warm welcome of the Neapolitans. 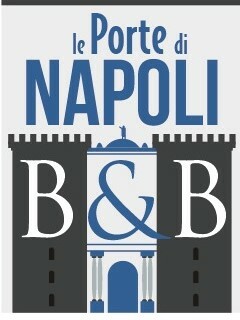 With a very competitive quality / price ratio, the B & B Le Porte di Napoli guarantees a pleasant and comfortable stay for all guests who want to experience a holiday in the most interesting places in the history of Naples and breathe the Neapolitanness that means fantasy, passion, intelligence, culture, love for their traditions. Ideal for all those who need to get to Naples to manage their business in the city center. We are located about 500 meters from the Central Station and Lines 1 and 2 of the Metro from where you can turn the whole city, about 500 meters from the Royal Botanical Garden and 1 km from the National Archaeological Museum of Naples , about 2.7 km from Capodichino Airport , 1.8 km from Maschio Angioino , 2 Km from Piazza del Plebiscito and Royal Palace of Naples , Il Duomo or Cathedral of Naples . Piazza Mercato (formerly Foro Magno) is one of the historic squares of Naples, and is particularly famous for being the place where the revolution of Masaniello began. In addition to the historical part you can visit the beautiful Gulf of Naples, is a unique place and one of the most photographed, known throughout the world. For those who love long walks and nature excursions, we are about 2 km away from Molo Beverello where you can embark for Ischia, Capri and the many other islands near Naples. B & B Le Porte di Napoli is composed of 2 triple rooms facing the main street and 3 double rooms located in one of the streets of the historic center of Naples. Each room has an open wardrobe, a flat-screen TV and a private bathroom. .